Brushy Lake camping is by far the most primitive on our list outside of backcountry sites. This site is for folks looking to get away. Yes; the camping fee is $5 per night, and the day-use fee is $3 per vehicle. Brushy Lake Campground is the perfect place for a little taste of outdoor adventure. Camping is a little more on the primitive side, with the benefits of quiet serenity and no crowds. It hugs the shore of Brushy Lake, a 33-acre lagoon in the woods with placid, clear, green-tinted waters. 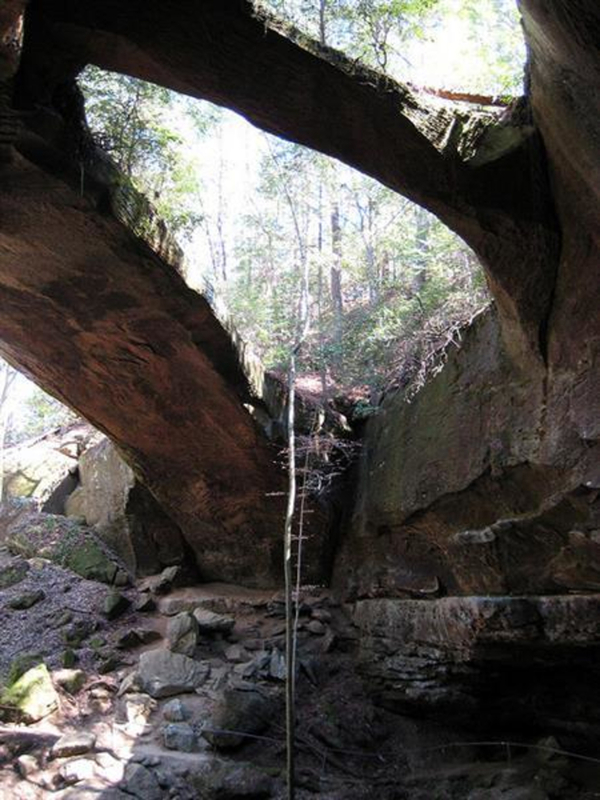 It in the Bankhead National Forest, popular for its waterfalls, rock formations, hiking, horseback riding, swimming, canoeing, paddling, wildlife and so much more. One of the reasons this campground is favored is that the Sipsey Wilderness is only a short, 15-minute drive away. The pristine, waterfall-filled canyon is the only designated wilderness area in the state. 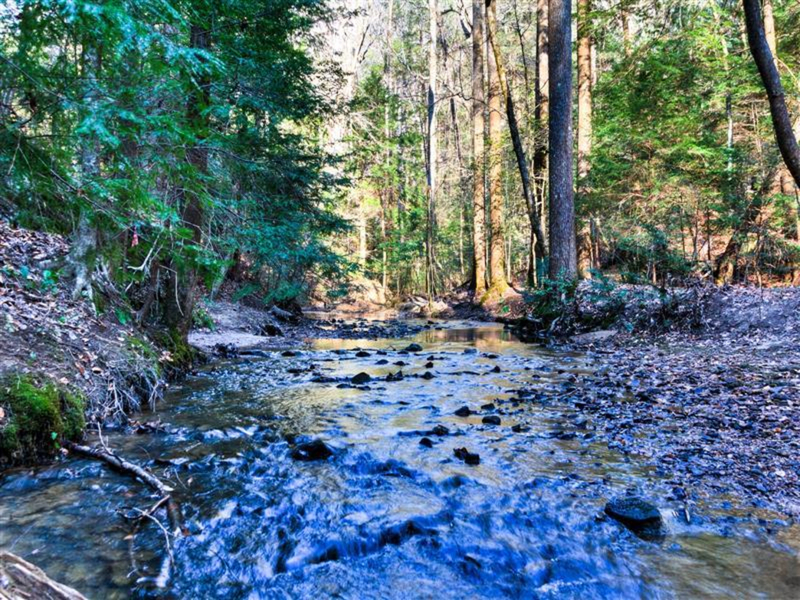 If you are looking for a base camp for exploring the Sipsey Wilderness and Bankhead National Forest, but don't want to backpack, then this campground is the best option. There may only be 13 primitive campsites, but the simplicity and intimacy make Brushy Lake Campground a fun choice for solo campers and families alike. Campers can enjoy amenities such as drinking water, picnic tables, and hiking trails. The bathhouse provides showers and restrooms. RV camping is permitted, but trailers are not recommended, as there are not any areas to turn around. The campground is first-come, first-serve, so keep in mind that spaces can't be reserved and there aren't many back-up options if there aren't any sites available upon arrival. Weekday availability should be plenty, but on the weekend, a good tip would be to arrive early to secure a site. It is open year-round and is great for winter-camping and exploring. One fun place to visit at the campground is Brushy Lake Dam. A tall curtain of water cascades down the stair-step wall of the dam. It is surrounded by large boulders and makes the perfect picnic spot. It is also the best start for a 10-mile paddle along Brushy Creek. The creek is wide and smooth for paddling and canoeing with slow-moving waters to coax you along the scenic bends and turns. There is plenty of room for hiking and trail blazing. The wide, curvy paved road leading to the campsite is traffic-free and cuts through beautiful woods, making an easy track for biking or running. Brushy Lake Campground is a perfect location for testing out new equipment or for allowing beginners to gain experience in their preferred outdoor activity. Trails are not complex or difficult. There is a paved trail that leads from the recreation area through lush green trees to the bluffs that are a sight worth hiking to find. The waters the lake are calm and still, and the creek provides a smooth surface for trying out new paddling equipment, or for someone new at the sport to gain their sea legs. Because the creek is so gentle, it is a great training ground for beginners to give paddling or canoeing a try. The camping fee is $5 per night, and the day-use fee is $3 per vehicle.